Teeter are often hailed as the main innovators in the world of inversion therapy and when you take a look at their feature packed tables it is easy to see why. Teeter are a company that have been producing inversion tables for over 35 years. 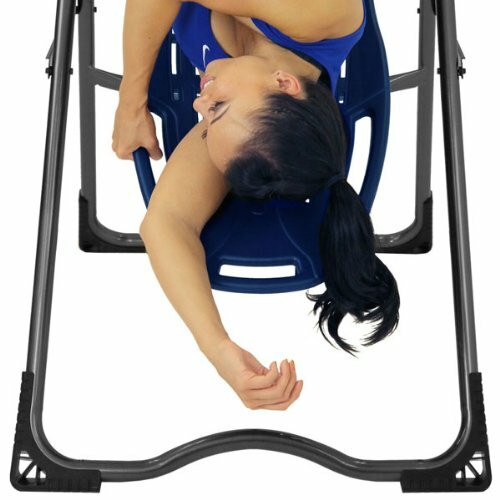 With each new inversion table model they release there are always thoughtful adjustments to improve comfort and effectiveness. Teeter inversion tables have also been shown to outperform inversion tables from other brands in independent tests. Excelling in endurance, control and ease of assembly when compared. Teeter inversion tables are considered to be some of the easiest to assemble and they are also the most customizable. 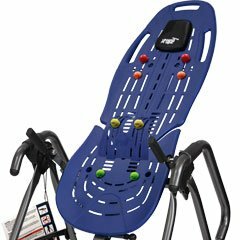 Once you own a Teeter inversion table you can purchase numerous add-ons to improve your inversion experience. 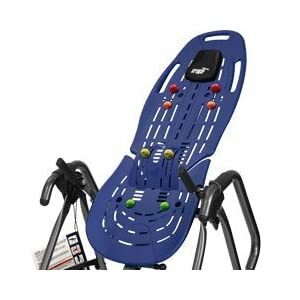 You can take a look at some of this additional Teeter accessories here. One issue some people have with the Teeter brand is how expensive some of their products are. 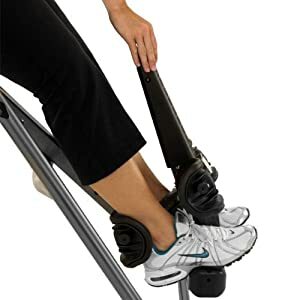 However, in recent years inversion tables from Teeter seem to have lowered in price, making them much more accessible and placing them in a similar price range to other ‘high end’ inversion tables. As the saying goes ‘you get what you pay for’ and the reviews from buyers certainly back this up. Whether you are a beginner to inversion therapy or if you have been using an inversion table for years, a Teeter inversion table is unlikely to disappoint. The two main inversion tables from Teeter are the EP-560 and the EP-960. Both are similar inversion tables, however the 960 has a a few extras. Both models feature Teeters iconic ComforTrak backrests which feature hand grips on either side of the padded headrest cushion. There is also an extra hand grip above the headrest providing three easy to access stretching aids. You will also notice that Teeter inversion tables do not feature padding (although you can purchase a Teeter padded cushion separately). The reason for this is to provide a better stretch for the user, with less friction and resistance than you may encounter with softer padded inversion tables. The ComforTrak bed also features a number of ridges where accessories can be added such as acupressure nodes and a lumbar bridge, which can be bought separately or both are included in the 560 and 960 LTD packages. Both models feature a tether strap to restrict the angle of inversion should you wish. Although there are many other models that feature more fancy ways of limiting the inversion angle, Teeter have kept with this simple yet effective device. To limit the inversion angle that the backrest can rotate to you simply shorten the strap situated under the backrest. To increase the angle the strap can be lengthened. Or you can simply not use the strap at all for full inversion. The lower stretch bar provides even more options for stretching and stability. The rear floor bar is bent upwards to allow the user to grip onto it while inverted. The patented EZ reach ankle lock is useful for those who may have trouble bending down too far. When securing your ankles into the ankle holders on the EP-960 you barely have to bend or strain your back at all to do so thanks to this useful feature. The traction handles may be a feature that are overlooked by some, but they are very useful for oscillated stretching while inverted. You can use the traction handles to provide resistance while inverted and use them to rhythmically move and stretch your body. Although the Teeter EP-960 inversion table only has a couple of additional features compared to the EP-560 from Teeter, these extras make it a better inversion table overall. In addition to this, on the standard variation of the Teeter EP-560 the side handles are very small in comparison to the 960 model. Overall the addition of the extra long side handles, the extra long ankle lever and the traction handles make the EP-960 one of the most complete inversion tables currently available. You can read all about these additional features on the product page. 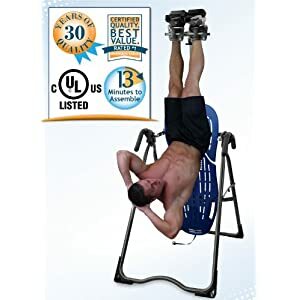 There, you can also read all of the buyer reviews which really highlight why this inversion table is one of the best around for quality and effectiveness. It is also worth stating, if the additional features on the EP-960 do not seem particularly necessary to you personally. Then the Teeter EP-560 is also an excellent choice, it is also featured as the most popular Teeter inversion table in the next tab. So the Ep-560 is not quite as feature packed as the upgraded Teeter EP-960 inversion table. However, it is a far more popular choice and is very well rated by users. Both the Ep-560 and the EP-960 inversion tables from Teeter are equally well rated and have similar performance scores based on buyer reviews. On the whole the EP-960 does have a few better features but it is also a bit more expensive. If you are having any trouble deciding between the EP-560 and the EP-960, you will need to consider whether the additional features are worth the additional cost. The extra features on the EP-960 include the very useful traction handles and the extra long ankle lock lever. The traction handles can however be bought separately and attached to the EP-560. Also on the standard and LTD EP-560 models you can see on the image to the right that the side handles are pretty short. This may be a little off putting to some users especially if you prefer to have the added stability while you invert and revert. You can read more about the added features on the EP-960 here on its product page. Or you can find out more about the EP-560 via the orange button below. Teeter are a company that really stand behind their inversion table products and they constantly attempt to create the best and most high quality inversion tables on the market. In addition to this Teeter allows third parties to test their inversion tables to prove their high quality. 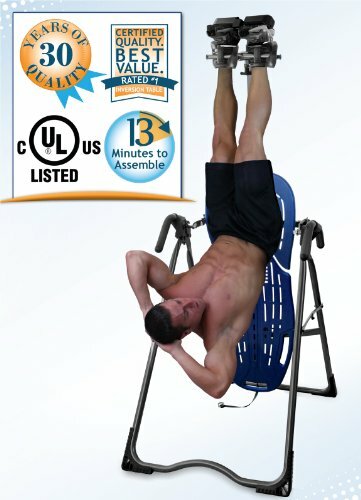 All Teeter inversion tables have undergone rigorous testing from respected third party company Underwriters Laboratories (UL) and are the only brand of inversion tables to be both UL safety certified and FDA registered as 510(k) medical devices. Teeter inversion tables exceeded safety and quality standards set by UL and were shown to outperform 4 other inversion table brands in a number of tests. These tests included ease of assembly, which found Teeter inversion tables to be the most straightforward and quickest to assemble, and static load testing which looked into how much weight the table could hold. In addition to this Teeter back their Ep-560 Ltd & EP-960 Ltd inversion tables with a comprehensive 5 year warranty, highlighting the confidence Teeter have in their inversion products. More warranty information and information on certification can be viewed on visiting the retailer via the Teeter inversion table product pages.